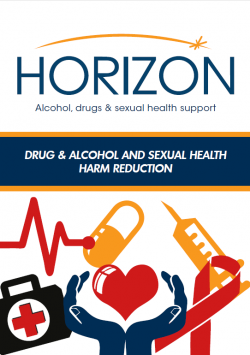 Horizon is a free, confidential and professional drugs, alcohol and sexual health support service for Blackpool. At Dickson Road you can receive a range of drug and alcohol harm reduction interventions and our experienced sexual health team offer non judgemental guidance and support with any issue relating to sexual health and health and wellbeing. Drug and Alcohol Assertive Outreach is part of the wider HORIZON Project for Blackpool. The motivation of drug and alcohol clients fluctuates, resulting in missed appointments and reduced client outcomes. The drug and alcohol assertive outreach service will significantly improve re-engagement of clients dropping out treatment services, and will assist in the engagement of those most at risk of acute illness and early death, such as chaotic users and the homeless. Although the assertive outreach service has this dual remit, to re-engage as well as to engage treatment naïve, it is intended that the bulk of the project work is to re-engage clients. Assertive outreach service will work with clients in a variety of settings to ensure maximum engagement and re-engagement with drug and alcohol treatment services. They aim to successfully engage clients who have disengaged by assessing and provide interventions to clients. Outreach work with acute and mental health hospital staff to transfer drug and alcohol related hospital admission patients into Horizon. The team offer assertive outreach to street drinkers, providing support and advice and seek to engage street drinkers in treatment services. Collate data in relation to where street drinkers procure their alcohol to advise the public health licensing objectives. and provide outreach service to clients who have been discharged from hospital and not presented for substance misuse treatment. If you would like any information or advice regarding the above, please contact us in confidence. Our Needle Exchange is also available for advice around safer injecting, to provide clean FREE injecting equipment and to offer dry blood spot testing and Hep B vaccinations. Assertive outreach workers will support you to access treatment or maintain treatment appointments if you are struggling. The team work closely with peer mentors and will visit you in the community or at home. Advice and information on reducing harm to yourself when using drugs or alcohol, including injecting steroids. Image performance enhancing drugs support, clean injecting equipment available in house and online from PinsAndNeedlesPro.co.uk & BBV screening. Needle exchange hub provides clean injecting equipment and paraphernalia and disposal services. Take Home Naloxone programme and overdose awareness training for service users and front line professionals.